The Rite in the Rain Tactical Binder Kit is a professional waterproof notepad set that is ideal for those working or living in the outdoors. Encased in a tough Cordura cover, the set includes a refillable ring binder, a set of loose leaf paper, an all-weather tactical pen, and a set of tactical reference cards. These kits are used extensively both in the office and field by Ray Mears and our team of Bushcraft instructors. This set has been designed for use in extreme conditions, and is manufactured with the most durable components available. This being said, the paper is totally recyclable, and the wood fibres utilised are purchased from FSC Certified sources. By doing this it ensures that the product is manufactured with high environmental and social standards and practices. 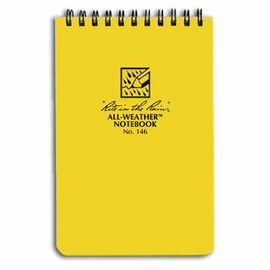 The hassle of soggy and illegible paperwork has plagued outdoor professionals for decades. Jerry Darling developed "Rite in the Rain" paper to address that problem for the Pacific Northwest logging industry in the 1920's, and the product has been evolving ever since. Rite in the Rain Tactical Binder Kit is rated 5/5 based on 2 customer reviews. Highly recommend. 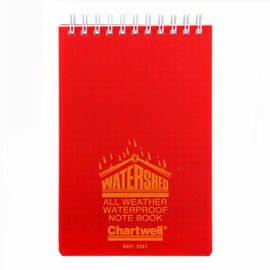 Great for making notes in any weather conditions the British isles has to offer! As always, a speedy delivery from Woodlore. An ideal starter, add pages as required. Works a treat in this British damp weather. In this Techno world, pencil and paper is still the most reliable.